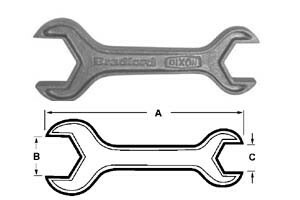 # SAN25H-300200 - Two Sided Aluminum Hex Wrenches - Aluminum - 3 in. x 2 in. Tube O.D. 3 in. x 2 in.